"many problems are showing up"
✅ Trip Verified | Belgrade to Amsterdam. 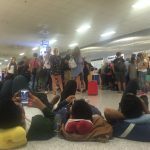 Serious bag and problems during online check in process. They need to fix this at once! Once you have selected and paid for seat in online check-in process you can't go back or deselect them and return to a free one. The only thing you can do and that I found out after calling customer support is to wait for a manual restart of check-in process and that needs approx. 2 hours. What will happen if your credit card is not accepted for seat payment, like in my case, and you are checking in just hours before the flight? Customer support was not surprised by my question like it's something normal. She even suggested to leave her with credit card information so that they can authorize by themself. Air Serbia looks like a fresh and modern aviation company from the outside, but from the inside, many problems are showing up. Hopefully, management will change soon with addition to government of Serbia stepping out from owner structure. "recommend you to avoid them"
✅ Trip Verified | Avoid them at any cost. In January 2018, Air Serbia cancelled our flight Los Angeles to Dusseldorf and Dusseldorf to Belgrade. Since then, we have been trying to get our money back, more than $1000, for the missing flights. First with an indirect claim via the seller of the tickets (MyTrip.com) and then directly via Air Serbia customer support. Until today, we got only replies from Air Serbia asking to give them some more time. The reality is, their customer service has no intention to solve this claim and gives us back our money. 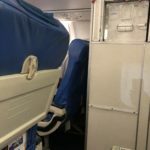 As a regular customer of Air Serbia so far, I recommend you to avoid them at any cost. "a whole week with no luggage"
✅ Trip Verified | Skopje to New York via Belgrade. Last time ever we are flying with Air Serbia. I don’t even know where to begin. 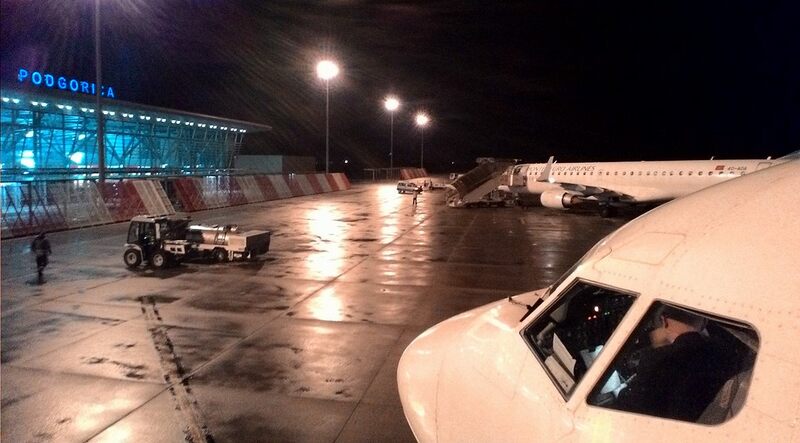 First of all when we landed in Belgrade they delayed our flight. I asked them why & they replied to me “there is no plane”. How are they selling plane tickets if they don’t have a plane. Second of all I when I got to Skopje I was there for a whole week with no luggage. I had a wedding & I didn’t have any of my stuff. I had to buy a new dress for the wedding and new clothes for that whole week. After a week only one of my luggage came. The second luggage came three days after. On the way back home I didn’t get my luggage again for 5 days. The people in Belgrade at the airport are very rude and not helpful at all. I would speak English to them because I don’t speak Serbian & they would reply in Serbian. I even told them & they still didn’t speak English. "it was a nice flight"
✅ Trip Verified | Check-in for the flight went fine, and gate 21 at T4 at Heathrow used for Air Serbia flights is very spacious and nice for aircraft spotting. 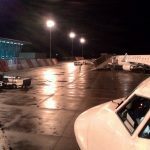 Flight from Belgrade arrived on time, but boarding started some 15 minutes prior scheduled departure so we were slightly delayed, and arrival in Belgrade was 5 minutes late after scheduled arrival. 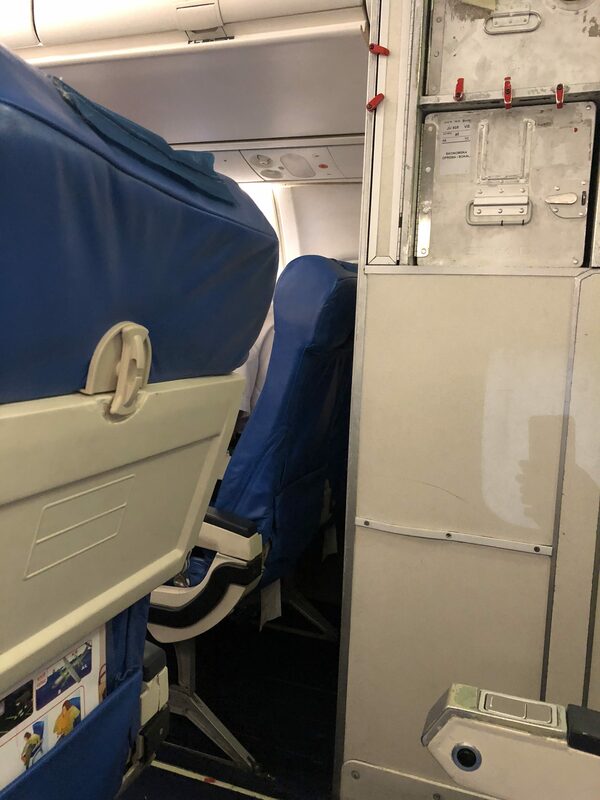 The cabin was full in economy and only one passenger in business (there were 9 businesses seats available for this flight). Business class is now changed, earlier it used to have different leather seats in configuration 2-2 and now it is flexible, the seats are the same as in economy 3-3 with guaranteed empty middle seat. Soon after departure crew gave us free snacks and a glass of water. Later on, they started serving sandwiches, drinks and snacks from their Deli menu (paid menu). Unfortunately, no hot food available on this 2.5 hour flight was available. Prices of Deli menu were fair and the quality of food was good - much better than they served them for free in the past. My opinion is that it’s better to get tasty sandwich for money now than two pieces of bread with butter inside for free :) Airline crew did their job professionally and their appearance was nice. Captain made few announcements during the flight about our route and weather conditions at the destination airport so that was fine too. There was no flight entertainment available but I had option to buy WiFi internet access. Landing went fine. Overall, it was a nice flight. ✅ Trip Verified | Milan to Belgrade. I would suggest to anyone to avoid Etihad in general and especially Air Serbia. Often Etihad sells tickets under its name and afterwards flight is operated by Air Serbia (all flights via belgrade) and that is the biggest nightmare you can have. 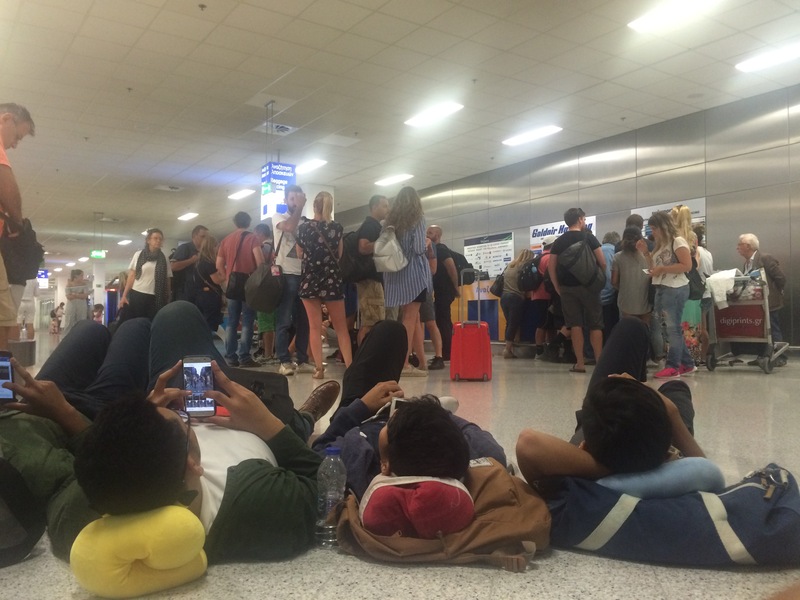 Terrible service in general, flights aways delayed for at least 45-60 min. Often longer delays. My last experience - engine got on fire while the airplane was leaving the gate, and following this we had 10 hours delay (2 hours in the plane, 2 hanging around begging for info, 2 further reschedulings of the departure). Air Serbia is keeping the monopoly of Belgrade airport and I need to use it unfortunately, but if you can avoid it, do it! ✅ Trip Verified | Milan to Belgrade. I flew with Air Serbia many times and never have any problems. Now they selling food druring the flight just like most of the airlines. The airplane was nice and clean, the crew always friendly and the departure was on time and arrival also. We have a great sunny day to fly so everything went perfect. "food is abysmal and scarce"
✅ Trip Verified | Bucharest to New York via Belgrade. Very old, dirty plane. It was one of the few times I was actually too hot during the ride. There are no personal A/C vents to control, so you just have to deal with it if you are too cold or too hot. The seats are often broken and do not recline properly. They offer very little ergonomic support. The entertainment offerings are minimal and outdated. You're lucky if your screen is even working though. The bathrooms are filthy. Things barely work and flies everywhere. The stewardesses are unprofessional. We had one lady that held 20 minutes chat with some Serbian passenger behind us. Who would want someone standing right in their grill talking Serbian for half the ride? The food is abysmal and scarce. 3 stars for arriving alive. It's a cheap airline which helps connecting New Yorkers to Eastern Europe more easily, but be prepared for a very unglamorous ride. ✅ Trip Verified | In August I bought a round ticket from Belgrade to Larnaca for October I bought their white tariff, I needed to change the departure date just a few days later and I wanted to keep the return for the same date. What happend was that I went directly to their office in Belgrade to ask if this is possible they gave me the information that they are not dealing with tickets bought online so I had to make a call to the call center. Women in the call center told me that I got the wrong information in their office that I need to buy a new ticket for both ways so I did but I asked what about refund if I cancel this one that I'm obviously not going to be able to use she said I don't know maybe you can get some kind of taxes write an email. So I did, of course I didn't get a response at all I only got automated email. The second issue is Online check in. So if you don't do it online they can charge you for checking in at the airport and there is no way you could know how much if you don't make a call and ask so I found that out on the day of my flight when I once again called call center. The third issue is meals and beverages on the flight, they canceled everything that is just beyond disrespectful because the prices are only going up. So what you get when you fly with airserbia is just a 0,25ml bottle of water. They are really not committed to what they are doing so the flight atendent made so many mistakes when she was talking on the microphone, she completely missed the name of the country and the city where we landed. They don't seem to care about the customers and complaints, trying to charge you on every step from the beginning if you get your ticket via phone you have to pay 15 euros for ticket fee, if you get your tickets via their official office the ticket fee is 20 euros, the regular check in from 10 to 30 euros, Wi-Fi in the cabin is not free of course, food and beverages for purchase. Not Verified | Zürich to Belgrade. Previously the pride of Serbia, today a low cost airline, but it does not want to be. While tariffs higher than 3 years ago, but where everything was included in the price. Sandwiches, drinks, seats, everything today has to be paid for. Staff rude, stressed, unmotivated. I flew from Zurich to Belgrade with Air Serbia 30 times a year, now I'm switching to Swiss - their price half as expensive, full board service, miles at the cheapest fare, drinks of your choice. No more Air Serbia. ✅ Trip Verified | Sofia to Copenhagen via Belgrade. Air Serbia likes to pride itself as an Etihad Partner, and once it was very good. Inflight meals has now been cancelled, you are only able to choose your seat at web check in if you pay, you need to print your boarding card before arriving at the airport, and ticket prices has gone up. Lower service and higher prices. So Air Serbia has now joined the LCC concept. Seats has improved, service onboard is slow, inefficient and without passion. Staff actually yawned in front of the guests. A far cry from previous experience with this airline. Looking at the ticket prices comparing it to service and value, Wizzair is a fine alternative.